In November, Facebook introduced a new design for both its Like and Share buttons in an effort to connect people with even more great content across the web. During that month, the redesigned buttons helped contribute to a 47.44 percent increase in referrals drive by the social network to publishers, according to Shareaholic. The new buttons, which feature a richer blue background, make them much easier to spot on busy webpages unlike their faded blue predecessors. They also include the Facebook logo which can help viewers distinguish between legitimate icons and those from copycats. 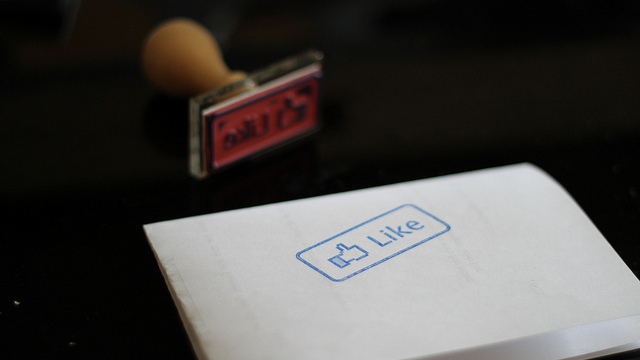 Facebook’s buttons are viewed more than 22 billion times a day across 7.5 million sites around the web. Undoubtedly people have developed a habit of sharing content they enjoy. Although not all buttons are created equal, share buttons in general are being utilized more often, and as a result, are driving more traffic to sites. Shareaholic’s data, which is represented as “share of visits,” suggests that Facebook drives more than one-sixth of an average site’s overall traffic. Considering that the social network is just one of millions of possible traffic referral sources, that’s a pretty significant figure. Of course, Facebook’s buttons aren’t doing all of the work. The increase in growth can also be attributed to the News Feed, which is more engaging than ever before thanks to prominent visuals, a renewed focus on surfacing quality content, and easy access to relevant conversations. For brands, Shareaholic’s data should reaffirm that the changes Facebook is making are worthwhile. If you were using the old Like and Share buttons, you’ve likely been automatically upgraded to the new design. Those not yet using the buttons are encouraged to reconsider, but don’t just stop there. Social media is ever changing, and your strategy should be designed to evolve with it. Take advantage of all the changes the social network is implementing, from updated algorithms to auto-play videos and revamped ad products. Talk with your team and see how you can take something as minor as a new shade of blue can impact your overall marketing goals.